If you're interested in a trip to southern Africa, you've come to the right place. Below you'll find all the information you need about how to pack for your adventure, what to prepare for logistically with your flights and travel documents, and the nitty-gritty details depending on which country you're traveling to. Take a look and let us know if you have any additional questions! We're always happy to chat and can be reached directly at 1.888.870.0903. Temperatures in Africa vary widely based on the season. To be prepared, bring warm clothing for mornings and evenings and water resistant layers for when it rains. It's always a good idea to check the forecast before you fly for the most accurate information for your destination. Africa is very casual and relaxed. There is no dress code and you should feel free to wear what's comfortable for light hiking and traveling by safari jeep. You might want to bring a nicer outfit or two for going out in larger cities like Cape Town! Yes! You'll need neutral, earth tone colors for safari. Consider quick-dry clothing or technical fabrics that layer well. Great walking shoes are also a must. More packing information is available below. Everything needs to fit in one day-pack and one soft-sided duffel bag. Together they must not exceed 44 pounds, but the weight may be distributed however you like. See below for more details. Even if you have an international plan, you may or may not get service while on safari. Check with your provider before leaving the country. But hey, don’t you want to unplug anyway? Aside from tipping money, it’s a good idea to carry about $400 per person in U.S. bills. Make sure your bills are 2006 or newer to prevent fraud issues. Credit cards are less widely accepted, but Visa is the most commonly used. Come with a few options so you’re not scrambling, and remember to store everything in a money belt or pouch for safe keeping. All tipping can be done in USD, but we also recommend bringing about 50% converted into local currency to have just in case. Most taxis and shops prefer it! Some safari camps include laundry which helps a lot with luggage restrictions. This does depend on the specific trip you have planned, so be sure to ask ahead. The Yellow Fever vaccine is recommended for people who are traveling to areas with risk for YFV transmission in South America and Africa. In addition, some countries require proof of Yellow Fever vaccination for entry. Thee Yellow Fever vaccination is required for those participating in gorilla or chimp trekking. Please visit the CDC website for a current map of Yellow Fever affected countries all over the world. Upon receiving the vaccination, make sure you get a valid yellow fever certificate from your doctor. Stick yours in your passport to make sure you have it readily available. A visa is an official authorization to visit a country and is required for entering certain countries in Africa. The visa is entered as a stamp in your passport. Within southern Africa, it is not necessary to process your visa prior to arrival. Any necessary visas are obtained upon entry and payable in US dollars–exact change is best. Visa fees are not included in your trip cost and are subject to change based on countries visited. Southern Africa operates in the same time zone as all Southern Africa (except Namibia). Johannesburg is 8 hours ahead of the US’s MST. All charter flights are subject to a weight limit of 44 pounds that cannot be exceeded for safety reasons. The weight can be distributed between two bags: one small day-pack and one soft-sided duffel with dimensions no larger than 10” W x 12” H x 24” L. Only soft bags will be accepted. Passengers will also be required to purchase an additional seat on the flight if the individual’s body weight exceeds 220 pounds. Travelers will be held responsible for the extra costs incurred to upgrade the flight. In the event of bad weather, it may be necessary to upgrade to a twin-engine plane, which is approved for instrument flight conditions. If this occurs, the extra cost of the twin-engine plane will be your responsibility. All flights are subcontracted to independent aviation companies who are entirely responsible, and therefore liable, for all aspects of the flying operation. Only regular-shaped bags may be checked in. This means that the bags must have at least one flat surface to be accepted. Bags with longs straps will not be allowed. All of southern Africa operates on 220-230 voltage electricity so it is necessary to bring your own adaptors and convertors (plug type M). Outlets are round 3-pin plugs. Some of the camps and lodges in South Africa are situated in remote areas using solar panels and generators which charge a battery bank for power. Some camps have plug points in the rooms which can be used to charge batteries and sleep apnea machines, however, these are not suitable for hair dryers and electric shavers. Please let us know ahead of time if you use a sleep apnea machine. Also, please ensure that you bring a spare battery as a back-up as power outages may occur. Where there are no plug points in the rooms, charging stations for charging batteries are available in the main area. Remember to bring spare batteries that can be charged at the camp or lodge while out on safari activities. Ladies: sport bras help with the bounce of safari vehicles! South Africa has 11 official languages, most of them indigenous to the country. English is the most widely used among the government, in cities, and in commerce. All the staff and guides at the hotels and lodges where you will be staying speak English. Rand (ZAR) denoted by the symbol R, with 100 cents making up the ZAR 1.00 (one Rand). Gratuities to the camp staff and guides can be paid in USD or ZAR. South Africa does require additional paperwork for minors traveling into the country. We will walk you through what you need to know. All minors 17 years and younger will need to present an unabridged birth certificate as well as a valid passport when entering, departing or traveling between South Africa and Botswana. Abbreviated versions or baptismal certificates are not accepted. This requirement applies to minors of all nationalities–whether traveling unaccompanied, with both parents, with one parent, an adoptive parent/s or with a legal guardian/s or any another adult/s (e.g. family member, friend, etc.). A sworn translation (certified/authenticated) in English should accompany all documentation that is in a language other than English. thee death certificate of the absent parent. Please note that all required documents need to be originals or certified copies. For additional information please visit South Africa’s Department of Home Affairs online. Once on the site, click “Civic Services” where you will find a link to Traveling with Children for a full description of necessary documents, and under “Immigration” you will find link to the Parental Consent Affidavit. The weather in South Africa is generally pleasant throughout the year, but of course it depends on where you're visiting. Generally, days are warm to hot, and nights cool to warm. During winter months (May to September) it can get very cold at night and in the early morning, particularly when on safari. Please refer to our packing suggestions list to make sure you are comfortable at all times of the day! January to March is the peak of summer and the rainfall season in most of the country. Days are normally warm with afternoon cloud build up and possible showers (although these are usually short-lived). Wildlife can disperse during this time in search of new grazing. From April to May, morning temperatures start to drop and the evenings are cooler. Rainfall is limited and as the free-standing waters dry out the wildlife starts to congregate more at perennial water sources. The early part of June is very cold in the mornings and evenings, occasionally even dropping below zero, and winter lasts until August. Game viewing can be excellent in the dry winter months in some areas. It is also the rainy season in the Cape, so some days can be quite wet and windy! Spring starts in September with all the vegetation coming into leaf and days are much warmer. In October, you can expect very warm sunny days with warm evenings. Some rains are experienced sporadically, though larger showers can be expected usually only around December. Wildlife sightings can vary depending how early the rains have started. Snowfall is limited to the highest mountain peaks and it is a relatively dry country with a mean annual rainfall of 502 millimeters. The official language is English, with Setswana being the most widely spoken African language. The currency in Botswana is Pula (P), which is made up of 100 Thebe. Gratuities to the camp staff and guides can be paid in USD. The climate in Botswana is generally sub-tropical with fairly light rainfall. Droughts are frequent, and summer can be very hot. Temperatures in winter can drop quite dramatically at night; however daytime temperatures are pleasantly warm. Botswana, with the exception of the Okavango Delta and the eastern parts of the country, consists almost entirely of the Kalahari Desert and as such, rainfall is low. The rain that does fall comes in short thundershowers in the late afternoon which produce spectacular dark skies and vivid rainbows before passing. Game viewing is good year round, although there are some seasonal highlights such as the concentrations of elephants in the linyanti over the dry winter months, or the zebra migration or predator concentrations in Makgadikgadi and Central Kalahari respectively in the summer months. Summer is from October to the end of March and usually brings very high temperatures. It is also the rainy season and cloud coverage and rain can cool things down, although only for a short period of time. The winter season begins in May and ends in August. This is also the dry season when virtually no rainfall occurs. Winter days are invariably sunny and cool to warm; however, evening and night temperatures can drop below freezing point in some areas. The official language is English, although over 72 African dialects are spoken throughout the country. Kwacha (KR) and USD (2006 and later series only) are accepted for transactions in most instances, including departure taxes and entry visas. Small denominations are encouraged for easier and quicker transactions, it also helps to have the exact amount as change is sometimes not provided. Gratuities to the camp staff and guides can be paid in USD. In Zambia, summer is from October to April. The days are hot and generally sunny in the morning with possible afternoon thunderstorms. Expect daytime temperatures in the 70-95°F range, and nights to get as low as 50-60°F. Low-lying areas like Kariba, Livingstone, Luangwa Valley, Lower Zambezi National Park, Lake Tanganyika, Kafue National Park, and the Zambezi Valley can be considerably warmer all year round with temperatures reaching as high as 122°F. The rainy season is generally from November to March. In winter, from May to September, days are dry, sunny, and cool, while evening temperatures can drop sharply to the 40°F's. Exceptionally cold spells can occur but are rare. The official language is English, although Shona and Sindebele are other widely spoken languages. With the removal of the Zimbabwean Dollar in 2009, the country has adopted a multi-currency system for payments. Hard currencies such as USD, GBP Sterling, Euros, and South African Rand are accepted and you are encouraged to carry small denominations for ease of trade. Gratuities to the camp staff and guides can be paid in USD. At customs only USD will be accepted. The weather in Zimbabwe is pleasant throughout the year. Generally, the days are bright and sunny and the nights clear and cool. November to April are the summer months (which is the rainy season) while winter is from May to August (which usually brings dry weather). September and October are typically very hot and very dry. Please refer to our packing suggestions list to make sure you are comfortable at all times of the day while adventuring in Zimbabwe! The official language is English, while Afrikaans and German are also widely used. The two widespread African languages in Namibia are Bantu and Khoisan. Namibian Dollar (NAD). The Namibian Dollar is fixed and is equivalent to the South African Rand (ZAR). Gratuities to the camp staff and guides can be paid in USD. Namibia is the only country in Southern Africa that operates on daylight savings time. This occurs in winter on the first Sunday in September to the first Sunday in April. GMT + 2 hours. The climate in Namibia is typically semi-desert with hot days and cool nights. With an average of 300 days of sunshine annually, the coast is cool and free of rain most of the year. The inland rainy season typically hits from October to April. To put it in perspective, the average rainfall is 1.97 inches along the coast to 13.78 inches in the central interior and a whopping 27.56 inches in the Caprivi. If you are traveling on a self-drive basis or doing any camping, remember to exercise caution when crossing riverbeds and setting up for the night. Flash floods can and do occur! Wildlife sightings can vary depending on how early the rains have started. December can be among the hottest months of the year, often averaging 95°F to 110°F in the shade. along the coastline, it can be cool with low rainfall and fog prevailing from late afternoon until mid-morning. The official language of Mozambique is Portuguese, although many people in the capital, Maputo, and tourist areas speak English. The further north you travel the less likely you are to encounter English and in more remote areas you are equally unlikely to encounter Portuguese speakers. On the northern coast, towards Tanzania, Swahili may be helpful. The official currency is the Metical (MT), however USD and South African Rands are more widely used for tourism. Gratuities to the camp staff and guides can be paid in USD. Great news! Beginning in 2017, visitors can now obtain a 30-day visa available upon arrival to the border of Mozambique. You'll need $50 USD. Mozambique has two main seasons, one wet and the other dry. The wet season, from November to March, has a monthly average temperature of 79°F-84°F with cooler temperatures in the interior uplands. The dry season lasts from April to October and has June and July temperatures averaging 64°F-68°F. The average annual rainfall is greatest (approximately 56 inches) over the western hills and the central areas, and lowest in the Zambezi lowlands averaging 16-32 inches. The Bazaruto and Quirimbas Archipelagos seldom get cold, however, on some evenings during the winter months of June and July, a light jacket or pullover will be necessary. The Seychelles has three official languages: Creole, English, and French. Seychelle Rupee (SCR) made up of 100 cent. While many establishments will take Euro or USD, it can be helpful to have spending money in SCR. The islands enjoy a pleasant tropical climate year round and, as they are situated outside the cyclone belt, there are no extremes of weather. The temperature seldom drops below 75ºF or rises above 90ºF. From October to March the islands are affected by the northwest trade winds. This is when the sea is generally calm with warm tropical water. From May to September, the weather is generally drier and cooler, with choppy seas, particularly on the south-eastern coast, which is when the southeast trade winds occur. 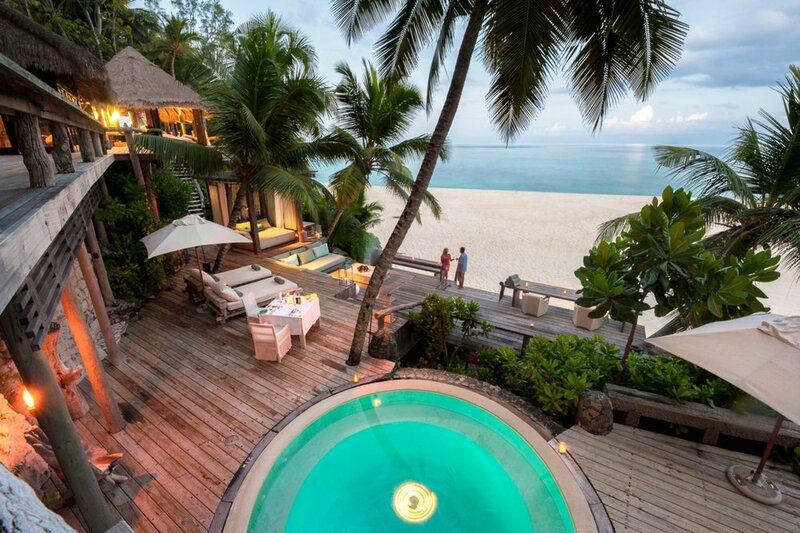 The wettest months in the Seychelles are December and January. Cape Town has a wild beauty and elegance all its own. Its buzzing harbor and streets house nightlife and storefronts, and its beaches and mountainous surroundings are bursting with flora and fauna that never cease to amaze, even for the locals. The city is set against the backdrop of the iconic Table Mountain plateau, and rests at the sapphire blue Table Bay, famous for its seal population and great white sharks. Cape Town’s rich history and modern culture make it a true metropolis on the coast. From visiting the visually striking and culturally rich Bo-Kaap neighborhood to riding a bike through rolling hills in the winelands, Cape Town has an assortment of activities for every type of visitor. Interested in history? Explore the West Coast Fossil Park or the South African museum. Want to come face to face the wildlife? Visit with penguins or dive with Great White sharks. Prefer to fit in a workout? Mountain bike over extensive terrain or kayak on the open sea. Or maybe repelling off of Table Mountain is more your style. Cape Town offers something for everyone. Be prepared—Cape Town can have four seasons in one day! The peninsula’s shape creates microclimates, so you can be basking in the sun on one side of the mountain and sheltering from chilly rain and winds on the other. A fun & fulfilling introduction to Cape Town. Explore Hout Bay, Duiker Island, Chapman’s Peak and Cape of Good Hope. Of course, this includes time with the penguins as well as a visit to the Kirstenbosch Botanical Gardens. 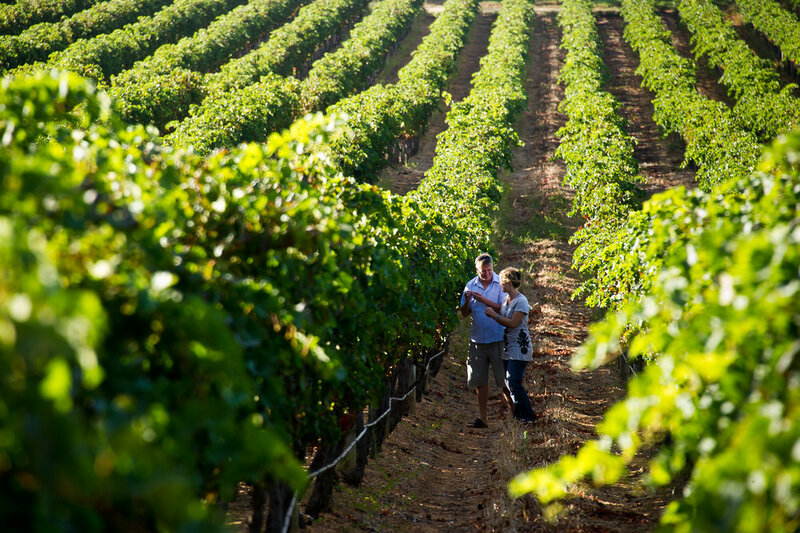 Visit Stellenbosch, Franschhoek and Paarl wine regions. You’ll definitely want a driver as you taste your way through the wine country. Looking for a little more movement? Pick up a bike & cycle through Franschhoek and Paarl. Wine tasting, lunch & siestas included along the way. Leisurely mountain bike your through the Cape Point Nature Reserve and enjoy a picnic lunch along the way. Later have a laugh with the penguins at Boulders Beach. Venture from Simon’s Town and paddle past the civilian and Naval Harbour and out to Boulder’s Beach to see the penguins. If the time and tide is right, stop on a beach for a swimming break. Head out of Cape Town for the day & visit Coast National Park & Langebaan Lagoon. For you foodies, hit Strandlooper for a seafood affair. Bring cash and give yourself three hours; you have ten courses of seafood to get through! You are almost guaranteed of seeing whales September through November. For those with a more adventurous spirit, a guided sea kayaking trip promises to get the adrenaline going! For serious shark or nature enthusiasts - this one is for you! February through September is your best chance of seeing the Great Whites. In addition to self-guided walks around Long Street & Kloof Street, lose yourself in authentic, vibrant markets. Discover the Greenmarket Square, the neighborhood of Wood stock, Bay Harbour Market, Old Biscuit Mill and the trendy seaside villages of Kalk Bay. Spend some time with the locals at the Tsoga Environmental Centre in Langa. Then visit a traditional healer and a unique development project at New Rest before visiting the town of Khayelithsha and its craft market. Visit the island where Nelson Mandela was incarcerated. Led by an ex-political prisoner, the tour includes a visit to the prison, including Mandela’s cell and a guided excursion, which provides views of the lepers’ church, warden’s village & lime quarry. Experience a sunset beach ride with breathtaking views of Chapman’s Peak and Noordhoek Beach. Pass through wetlands, dunes and shipwrecks. Embark on a 20- or 60-min helicopter ride over the Cape Peninsula. Take it up a notch and helicopter into the Winelands. Visit art galleries in Kalk Bay, then browse through the colorful streets of Bo-Kaap. Visit Tribal Art Centers, cooperates or scheduled a private viewing with local Cape Art Dealers. Discover the culinary secrets of the aromatic Malay Quarters. Learn how to mix masala, fold samoosas and cook curry in an informal, hands-on cooking workshop in a Bo-Kaap family home.